Super Souvenir — Horizon 2018 Super Souvenir uncovers the Gold Coast\'s unique souvenir culture. 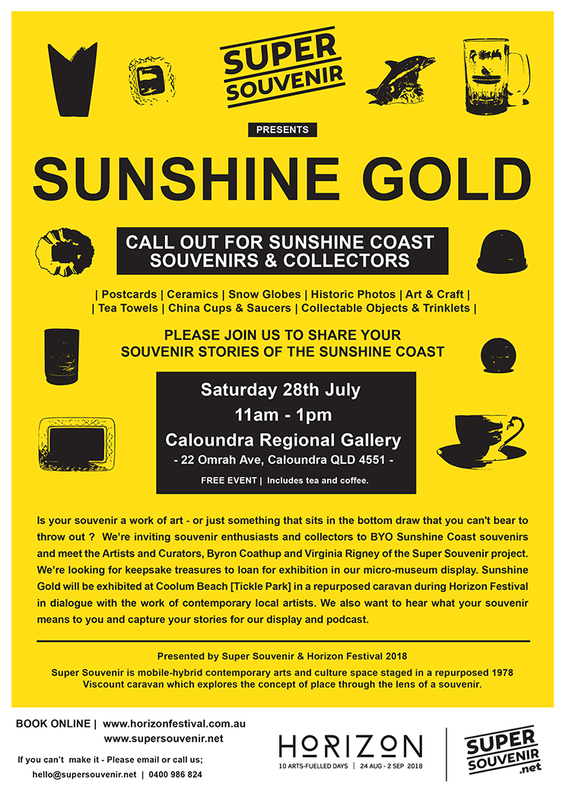 Sunshine Coast local artists come together with Gold Coast artists to consider the similarities and differences of our respective regions and how souvenirs and artworks reflect those concepts. You're invited to come inside the van and see the work of these artists in a visual dialogue with displays of classic souvenirs. Maddison Kellie, Kim Guthrie, Fran Miller, Amanda Davidson, Tess Mehonoshen, Alex Chomiciz and Kymberley McElroy. Bring the family and drop in for some hands-on workshops for all ages. RSVP OR JUST DROP IN!